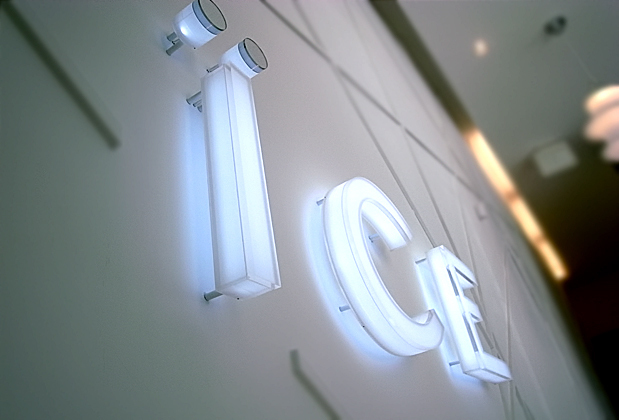 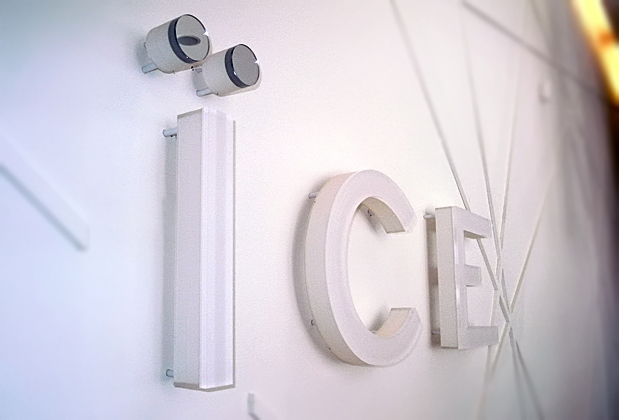 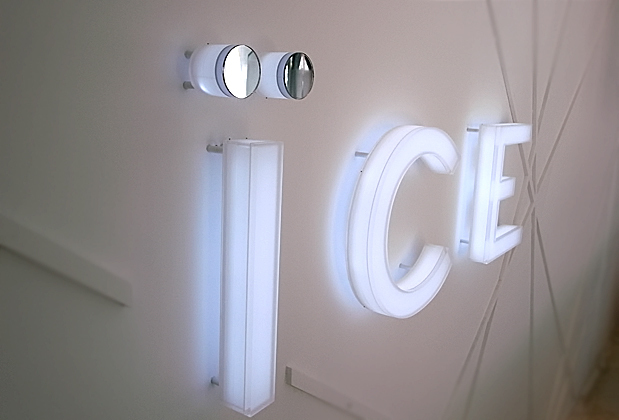 Illuminated Office Sign, Wall Installation With Internal Led Illumination. 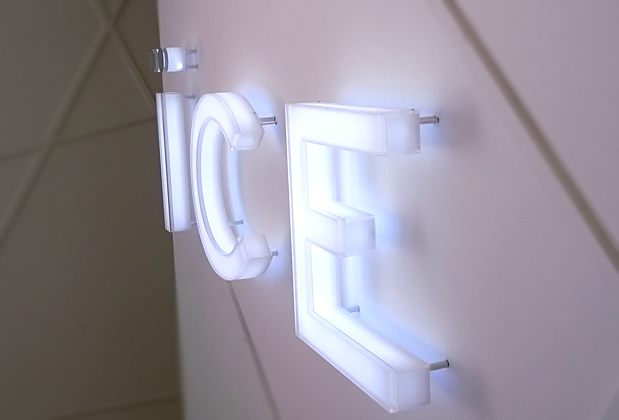 Custom Office design sign, material 2" acrylic with LED illumination. 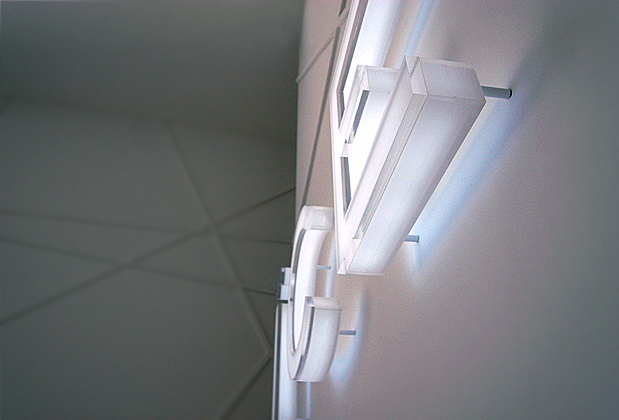 Another view of the sales office sign.